Career Day with Goldman Sachs Community TeamWorks! Urban Pathways hosted Career Day yesterday at our newest site in the Bronx. Yesterday, Urban Pathways Development Department partnered with the Career Enhancement Program and Goldman Sachs Community TeamWorks volunteers to host Career Day at our newest site at 162nd Street in the Bronx. For our second Career Day with Goldman Sachs Community TeamWorks volunteers, we visited our largest and newest site. The Residences at 162nd Street in the Bronx. 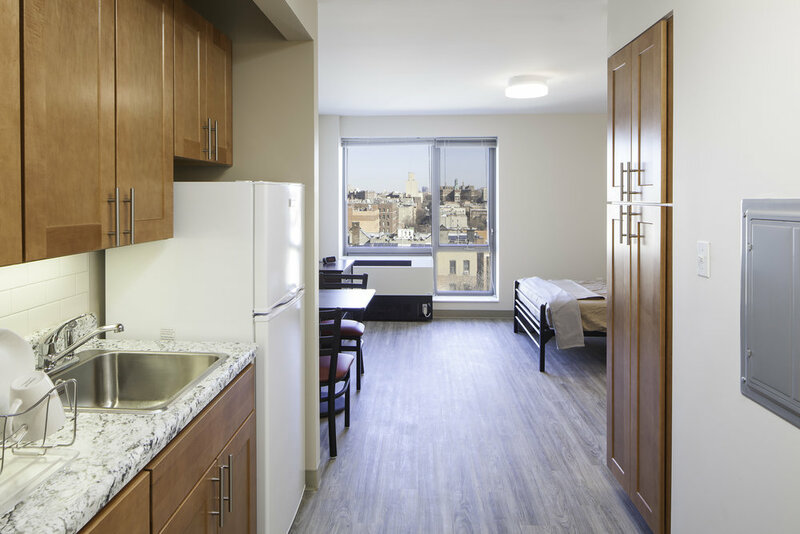 The residences at 162nd Street have a total of 86, fully furnished, studio apartment units…55 units for formerly homeless men and women and 31 units for low income community residents. 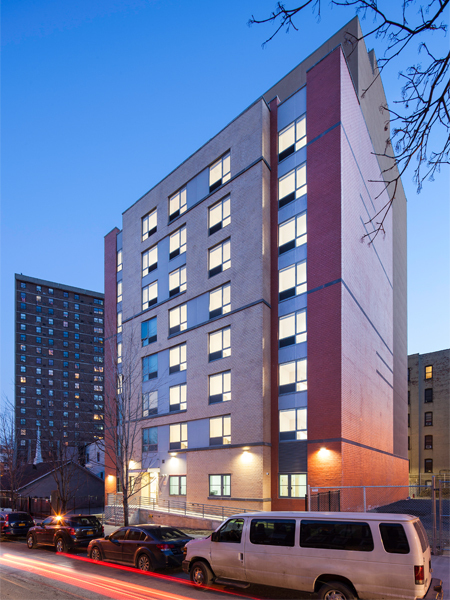 Along with a full service laundry room, 162nd Street has a modern computer lab, backyard patio/sitting area, and community room. Case workers as well as a LPN (licensed practical nurse) are on premises and on hand for resident’s needs. 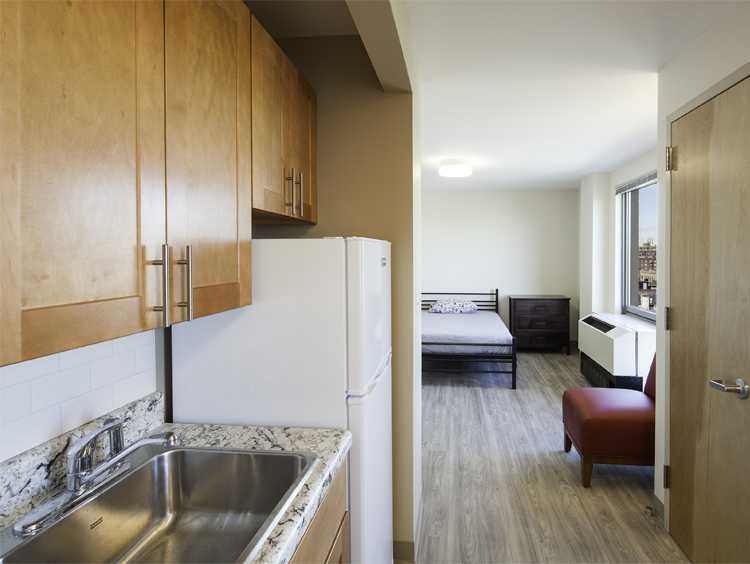 All of 162nd's 86 studio units come fully furnished. 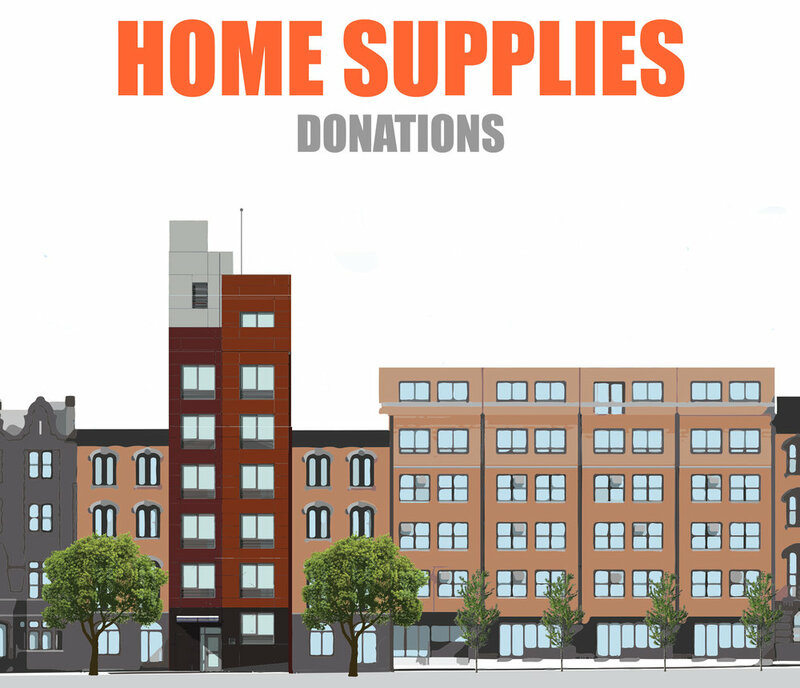 Volunteers, led by the staff toured the facility and also met with a resident who showed them his fully furnished one bedroom apartment equipped with a kitchen, bathroom and an amazing view of the city. The resident told his story of being homeless and sleeping in Madison Square Park 6 months ago, and now he is living in his own apartment for the first time in his life. Program participants and volunteers took part in round-robin sessions including: resume building, mock interviews, dress for success, and interpersonal communication. Participants were very thankful to have had the opportunity to speak to Goldman Sachs volunteer team. 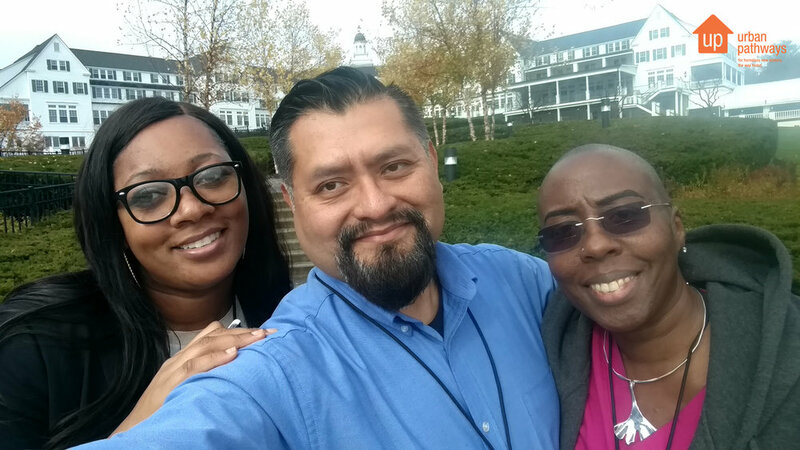 They learned the skills necessary to enter the job market with confidence, as well as furthering their independence, stability, and wellness as fully integrated members of the community. We thank Goldman Sachs for their participation in this noble cause. For more information on Urban Pathways Career Day and other organizational volunteer events please email development@urbanpathways.org. Program Participant reworking his resume.